On Like Totally Living in the Now in Japan, You Know? | This Japanese Life. On Like Totally Living in the Now in Japan, You Know? Posted on August 31, 2011	by E.
Japan probably has more temples, shrines and gardens per capita than garbage cans or benches. You would think a country so heavily influenced by Buddhism would make it easy for a foreigner to stay open to the present. But life in Japan is just as distracting as everywhere else, and the reason is simple: Culture isn’t distracting you. You’re distracting you. Every morning I pass through a walking path surrounded by towering bamboo. As you walk, the path gets darker and the temperature cooler, and the air is filled with the sound of insects and cat-sized ravens. At the end of that path is a simple shrine. I usually bow at the shrine before descending the heavy stone stairs to the railway crossing and into my office. Bowing bookends the start and finish of my day and briefly reminds me to stay centered in the present: Stop, look at the shrine, give up my internal yammering for however long it takes to bow. By the time I make it to the bottom of the stairs, I’m already tangled up with distractions. So much for Zen through osmosis. I mean, it’s not like I’m doing any real work. When I bow, I’m just reminding myself that I need to get better at staying focused. You can’t come to Japan, bow to a few shrines and expect it to change your life. I mean, hell, it’s a Shinto shrine. I’m not even bowing to the right fox. I’ve got no permanent ties to this country. I’m always aware that I’m leaving. I’m not letting roots grow, so my head tends to drift over the Pacific with alarming frequency. I’m usually thinking about Honey Nut Cheerios, cheap movies, career prospects or finally talking to girls in English. This isn’t homesickness. It’s distraction-sickness. It’s hard to be fully present to a temporary situation, despite the utter insanity of leaving home just to think about home. I should be more present to temporary situations, not less. The natural order of the universe is entropy (man), so we’re (like) constantly being pulled away from the center of our thoughts, (you know what I mean, man?) just like the entire universe is being stretched to pieces. Our concentration is always unraveling and we’re forever getting tangled in the threads. But wherever you go, there you are. Distraction-sickness happens everywhere. This is precisely the problem that Zen can help – by cultivating mindfulness. As a child of various religious backgrounds – having attended services as a Protestant, Jehovah’s Witness, “Charismatic Evangelical” (read: Speaking in Tongues), and more, I gravitated rather quickly to Buddhism in my early teens, thanks to some Shambhala Press books on the “religion” bookshelf, and had started meditating by the time I was 13. I could list the benefits I’ve reaped from that period of meditation. But perhaps more important is that at the age of 15, a switch flipped and suddenly music, art, money, girls and looking cool in front of them became more of a priority than listening to my nose while searching into the darkness of my eyelids. 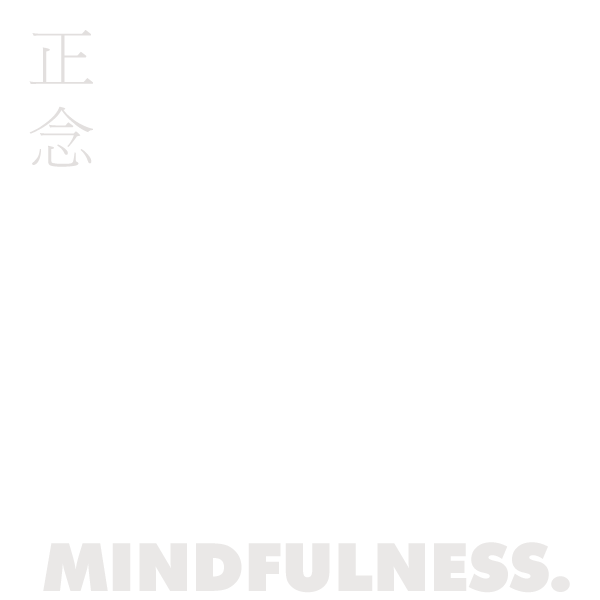 Lately, though, I’ve been trying to find that mindfulness again. I’m reminded every day by my brief ritualistic stops at the shrine en route to work. And I’ve been surprised by the odd tradition in my high school – odd, apparently, even for Japanese High Schools – of having a period of meditation before class. So I have been easing back into meditation: A simple half hour of sitting and watching my body breathe, or a focused walk. You don’t try to breath deeply, or regulate your breathing, or think about how you should be breathing. You just watch yourself breathe, or walk, and you practice being there when you’re doing it. When your mind wanders, you get to the point of the entire practice, which is to rein that wandering attention back to the movement of your legs, or thinking about the air flowing through the bridge of your nose. It’s like babysitting a toddler. The kid will sit still for a while, but then run off. You can’t scold her because she’ll put up a struggle. But you need her to sit still, so you pick her up and gently and calmly put her back in the spot where she needs to be sitting. The baby is your consciousness, and it needs to be sitting at the tip of your nose, and it needs to be listening to your breath as it moves through your nostrils. Meditation is a nice practice session for your daily life, in the field, where you want to be present but keep drifting off. There are a lot of great opportunities to practice this in Japan, especially if you are invited to take part in meetings where you won’t understand a word that’s being said. You want to listen to your co-workers but you keep thinking about getting home and e-mailing home, or where your best friends are, and if you have time for Skyping your parents this weekend, and you wish you worked in an office where people understood your ideas and you didn’t always have to simplify them into such small portions that all of your ambition to say anything at all gets lost, and you wonder if your choices are the right ones, even if you are choosing to interact with people in the right way, when there are so many ways to do things, so many paths you could have taken and can take, and sometimes it feels like you took the wrong one – and if you took the wrong path, are you stuck here, and can you get over it by going home, and maybe you will go home for holiday, or maybe you won’t go home at all, wait a minute am I supposed to stand and bow yet? Did you see what happened there? Your eyes glazed over. You weren’t here. You had to keep reeling yourself back into focus. The Buddhists say that train will always take you to desire, longing and depression. That’s probably true, but it also makes frequent stops at dinner plans, ice cream cravings and what-if-scenarios about being a Japanese Prime Minister. Meditation is the training session for re-centering your attention when the train skids off the rails and into stories that isolate us from the world. For me, it’s seeing people and not listening to them because I’ve been inside of my head for a year. The train gets so loud you can’t hear anyone else. I’m not looking for a permanent megaton of all-encompassing awareness. I just want to catch myself when I start to drift. I want to remember how to be here instead of there. I want to control my attention span instead of having my attention span control me. I’m pretty sure my mind will wander until I die. We all will; no point in worrying. Just acknowledge it, accept it, and come back to wherever you are. If you didn’t mind this post you might not mind following This Japanese Life on Facebook. This entry was posted in Homesickness, Shrines, Thinking, Uncategorized, Zen and tagged expatriates, japan, mindfulness, zen. Bookmark the permalink. 7 Responses to On Like Totally Living in the Now in Japan, You Know? Thanks for sharing this insightful look into the human mind. I know those feelings well, of being unable to focus on the here and now. love this ..nice piece..and made me smile alot !